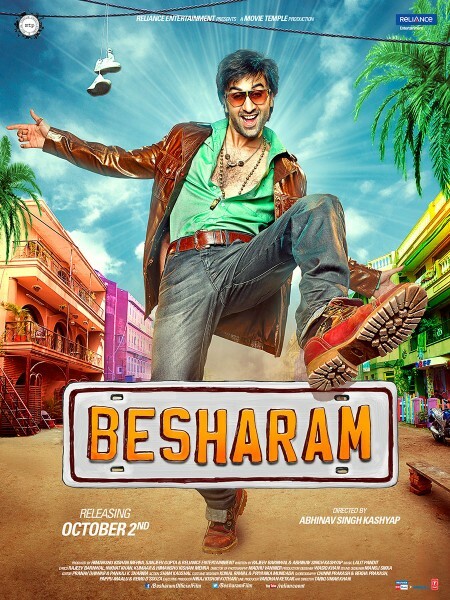 Besharam is a comedy masala movie of the Bollywood film industry and this movie was released on Oct 02, 2013. Abhinay Kashyap is the director. When this movie was released on the box office, it was declared as flop on the Box office just after four days. This movie was started on Dec 10, 2012 and its shooting was conducting in the film set of Film City in Mumbai. This movie could not get the positive response from its viewership.